Indian Hair - Generale Hair Zone | Any Hair, Any Style, Any Product!! Indian hair is higly regarded in the hair industry because of its natural durability and flexibility and not to forget its texture, indian hair gives the best styling options for extensions and other uses. 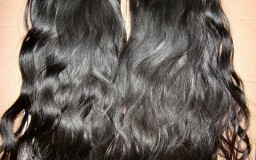 Indian Hair is one of the most popular hair type in the market. Indian hair is thinner and silkier compared to brazilian hair.